Kinesys has a simple goal: to provide exceptional automation equipment that allows venues to be outstanding and audiences to be amazed. In this video, we are going to talk about the markets that Kinesys serve. These are; Live Events, Venues, Television and Film. Let’s start with Live Events. Kinesys were pioneers in providing accessible automation solutions to concert touring and theatrical performances. Automation, previously the preserve of only the biggest budgets, is now an affordable solution for various levels of production and Kinesys are proud to have been at the forefront of that change. The hardest work that touring equipment undergoes is often not the show itself but instead the journey between venues and the load in and load out. Designing with this process in mind is in the DNA of Kinesys. Apex leads the field with amazing dynamic performance in a powerful variable speed chain hoist package. Compliance with the highest standards of safety around the world ensures it can be used in over-head motion for maximum creative effect. The renowned Elevation variable speed controller allows chain hoists and trolleys to become an integral part of the live show experience, allowing artistic visions to be expressed through multidimensional movement. 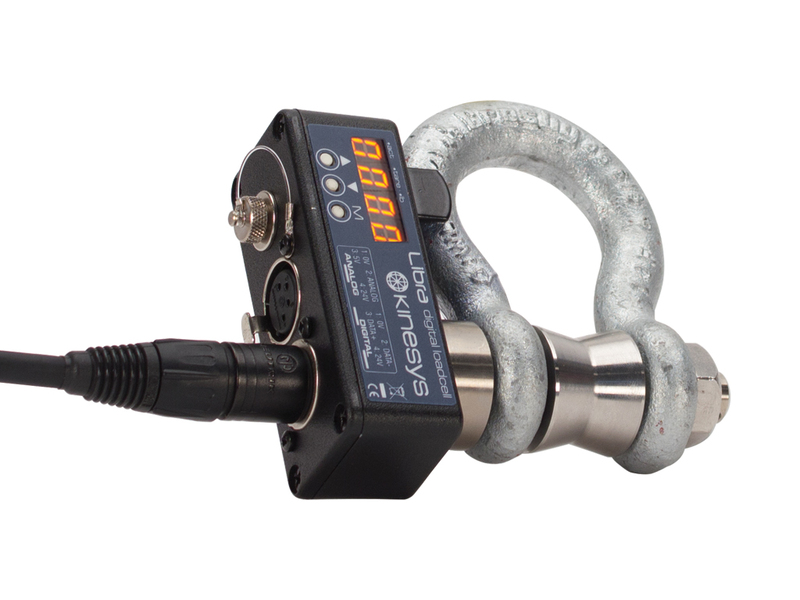 Safer rigging solutions can be found in the DigiHoist and LibraCELL. Adding the positioning module to a DigiHoist provides a cost effective route into show automation for fixed speed chain hoists. Up next is Venues. Automation technology can provide numerous benefits to entertainment venues. From Arenas and Convention Centres to TV Studios and Houses of Worship, the added efficiencies, safety benefits and convenience of automated movement are available to all. Kinesys have been privileged to supply solutions to a wide variety of venues. The reliability and ease of use designed into Kinesys products give venues the chance to operate tightly packed schedules day after day with peace of mind. DigiHoist and our load measuring products such as LibraCELL and LibraPRO can provide the backbone to a safer automated working environment with programs like Vector providing a user friendly operating interface. Whether it be a standard product or a tailored control solution, our experience working in some of the most physically demanding environments in entertainment gives us a unique insight into the challenges of venue installations where reliability and simplicity of operation are often the key requirements. Television is another market we serve. Automation can assist to meet both the creative and scheduling requirements of television programming. Everything from a big reveal to the timely positioning of set elements during commercial breaks can be enabled using Kinesys products. Highly accurate Apex and Elevation hoist systems for scenic movements and near silent ZF200 winches powered by Velocity 2 drives for dramatic on-screen entrances and exits provide a wealth of opportunities to add dramatic moments to a show. 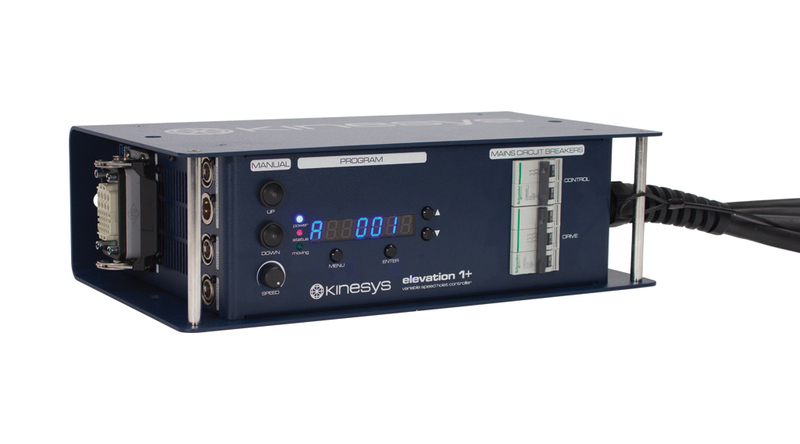 Kinesys products are used in television studios both in the UK and across the world. Fixed speed hoists controlled by DigiHoist are used for the pre-rigging and positioning of lighting and scenic elements. Variable speed hoists allow heavy elements to be smoothly, accurately and repeatedly positioned either in or out of shot. Flying the star across the studio however is the realm of Velocity 2 and their associated winches. Film brings a unique set of challenges for automation to overcome, the distances and speeds involved can be staggering and the timescales to install and program are often very short. We have direct experience providing solutions to this unique and exciting industry. Kinesys has solutions specifically tailored to meet these needs. 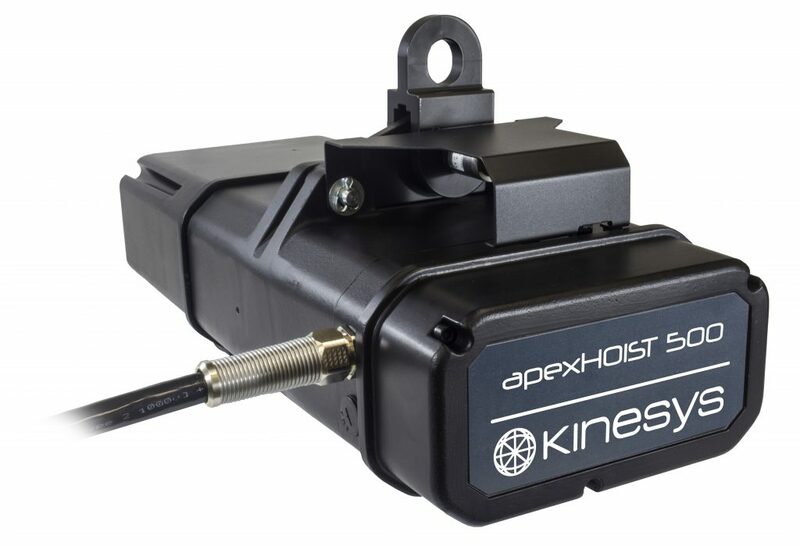 The T500 winch provides endless wire tracking solutions for camera positioning at speeds exceeding 20m/s (66 fps). The F500 winch range allows high speed lifting and tracking options at speeds in excess of 10m/s (33 fps) accompanied with breath taking ramps allowing the winch to reach full speed from a standing start in half a second with a payload of 250kg (550lb) all powered by Velocity 2 drives. Sign up to our newsletter to get the latest on all things Kinesys!